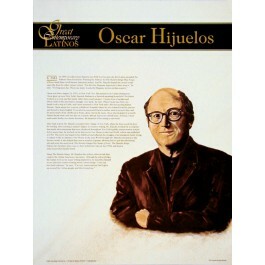 This poster of the Pulitzer Prize-winning author Oscar Hijuelos features an artist's illustration of Mr. Hijuelos, along with biographical text illuminating his life and career. 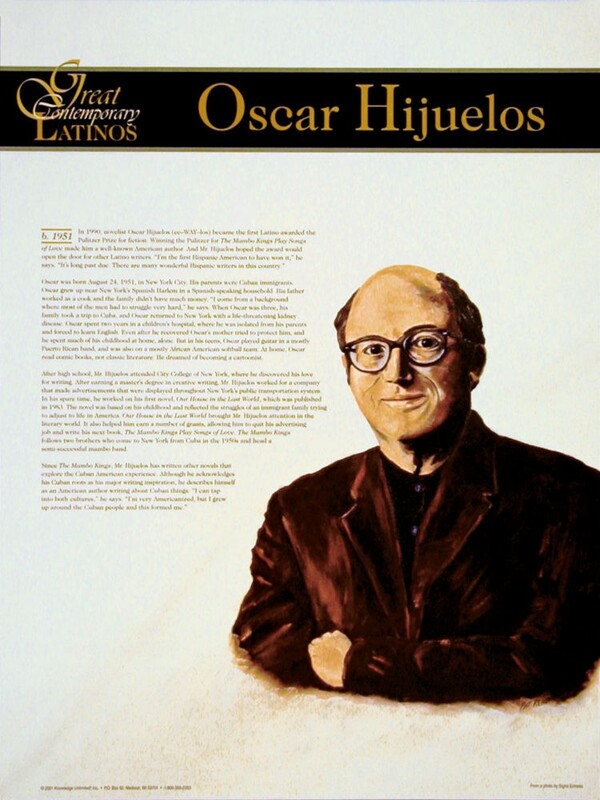 Mr. Hijuelos was born in 1951 in New York City, the son of Cuban immigrants. In 1990, he won the Pulitzer Prize for "The Mambo Kings Play Songs of Love," becoming the first Latino to receive a Pulitzer for fiction.